You do not have to be an expert in art and interior décor to appreciate and apply some essential principles of interior designs and decorations such as in a picture or as decoration, which will help you create a cozy and functional home with style. When you are familiar and in harmony with some picture hanging systems, you will begin to get a feeling for the mistakes most people make when hanging pictures – the kind of mistakes that will shake off the whole impression of a room without you actually knowing it, or knowing why. If you happen to find yourself in one of these blunders, below are the 5 mistakes most people make when hanging pictures. These might give you picture hanging ideas to boost your home. The walls could be very hard – If you live in a house where the walls are really hard, you will find it hard to use nails to hand pictures and artworks. The more you try to use nails on the hard walls, the more you bend them and muddle your wall. Also, there will be a lot of mess of cracked plaster or sore thumbs from where you miss hitting the nail. Rental apartment – Most people who live in rented apartments know that they cannot mess up the walls of the house and this is exactly what nails do to walls when you use them to hang pictures and some other things in your home. Most landlords do not allow their tenants to put holes in the walls for pictures or whatsoever. Holes in the wall – If you have tried using nails to hang pictures or artworks in your house you will have noticed that it leaves holes all over the places. Sometimes you miss the target and have to remove the nail – this leaves a hole or holes all over your walls, which you don’t need to be told are messy, especially newly painted or decorated walls. Restricts the ability to change art around – Once you have nailed an artwork to the wall with nails, it is not easy to simply remove the art and put it in a new position, and also when you finally succeed in removing the picture, you will leave clutter in your wall. Nail novice – We hate to own up to it, but the truth remains that not all of us are good with nails and hammer. Fortunately, hanging artworks and pictures have come a long way and there now exist better alternatives that let you do it ourselves without running to your neighbors or so. Self-adhesive tabs are simple and easy picture hanging ideas one can use to in hanging pictures, artworks and prints in your home but they are not as sticky as you will like them at all times and sometimes moisture, temperature and other factors can impact on the stickiness of the adhesive, sending your lovely art or object crashing to the floor. Not only will this damage your beloved art when it falls, it will also pose a potential threat to your family and others who walk by it, especially young children. Hanging pictures with self adhesive tabs can make the picture to sway with the slightest touch, making it to need additional support. Besides, you cannot use self-adhesive to hang heavy pictures – usually, any picture that weighs up to 4kg might not hang off a self-adhesive tab. If you really value your picture, especially if you have kids around, try not to use self adhesive tabs as picture hangers. And again, self-adhesives cannot be used in delicate or paper wallpaper and may not adhere well to some vinyl wallpapers. Due to high temperatures and probably other factors, pictures hung with these tabs can fall off even within weeks, smashing the glass and crumpling the frames. The key rule of hanging pictures is to put the middle of the picture at eye level. For instance, in the hallway, the picture should be hung high because your eye level is higher in a hallway than in a dining room, where it should be hanging low because your eye level while sitting is lower and you spend most of your time in this room seated. In a kid’s room, the perfect level should be the eye level of a young child, which will make the picture hanging lower so they can enjoy it. Hanging pictures at eye level will make your place feel human scaled and comfortable. If you always hang all your pictures within a few inches of the ceiling, you may be a high hanger, however, the problem with this is that it looks weird and people will hardly see your art without hoisting their head too high and craning their neck. A small piece of artwork that would look just fine hanging over a bar cart or toilet may look rather bizarre set behind a dining table or hanging by itself on a hallway. With a few exceptions such as a picture hanging directly over a piece of furniture, which should relate to the height of the furniture or pictures that are leaning on top of a console, all art should be hung with the center of the piece at about 56 inches (you can adjust a little if you are very tall) off the floor. The idea is to have your pieces at eye level. Many people think of color when buying art and totally forget about scale. That 25-inch wide picture is will look somewhat ridiculous swimming in the wide span of wall above your 7 foot long sofa. So how will you know if your art is too small? Simply compare the scale of the artwork to the scale of the thing nearby. A small piece of art that would look great hanging over a toilet might look strange hanging in the living room. – Choose smaller pictures for narrow walls and larger works for big wall spaces. – Consider grouping four small same-size pictures together in a four-square, to give the impression of a larger picture. – Smaller pictures can just look like clutter unless displayed in groups so the picture looks balanced. – Generally, when hanging art over a piece of furniture it should not be longer than the width of the furniture. – Not all frames will always be matching sizes, so approximate and just try to balance the impact of the frames – not match them perfectly. 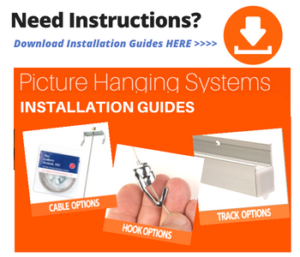 – As for physically hanging the pictures on the wall, look for a picture hanging systems at a picture hanging hardware or home store. It will include everything you need. – For most well-spaced rooms, bigger art is naturally better – if you can afford it. Whether it is your home or your office, the quality and character of lighting on your pictures can go a long way in making you more positive-minded, productive and even creative. Poor lighting can totally take the beauty off your art and dampen drive. Attractive art can be lost if it’s not well lit up. So illuminating your artwork correctly brings out its beauty and gives it importance. Correct lighting can bring a picture to life and truly make it a feature of your decor. Lighting pictures appropriately banishes the dark shadows that may be lurking around your artwork or picture in addition to making the art or picture much more vivid and theatrical. If you light your pictures correctly, you will draw attention to other elements and objects in the room. 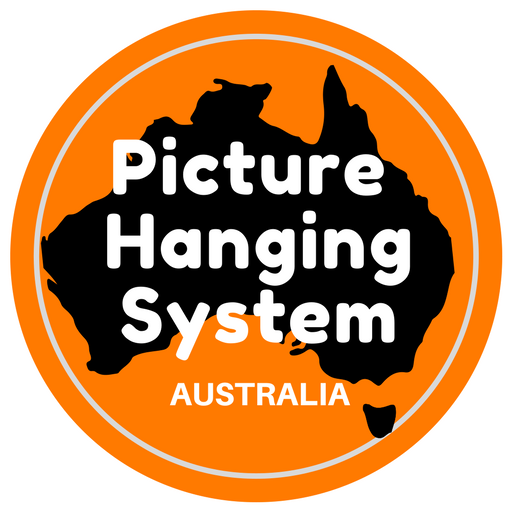 The State-of-the-Art Gallery Picture Hanging System ensures that you can easily overcome these mistakes so as you can hang your pictures perfectly … everytime!